This road is keeping the lights on in France. Tourouvre-au-Perche in Normandy, France is a young, little municipality established just January of this year. The 93.76 km2 (36.20 mile2) town of 3,400 residents will celebrate its anniversary under street lights powered by an inventive technology program. This Wednesday, French Ecology Minister Ségolène Royal opened a kilometer-long solar panel road called Wattway in Tourouvre-au-Perche. The 2,800 square meters (3,348 square yards) of solar panels cost about $5.2 million and took five years to produce. 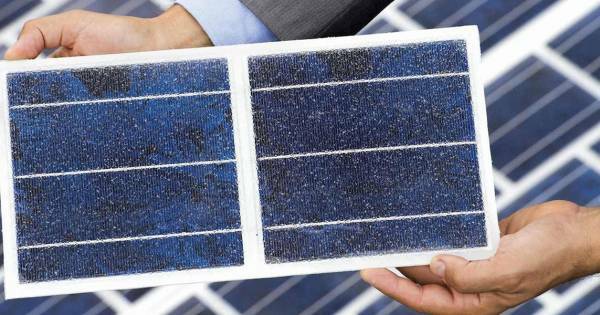 In order to withstand traffic, the panels are coated with a clear silicon resin, and they were tested at four carparks across the country before installation. France is working with Colas, the solar road’s manufacturer, on the possibility of installing these panels along another 1,000 kilometers (621 miles) of French road. Before that could happen, however, Colas would need to figure out how costs could be lowered for mass production. It’s Expensive, but Does It Work? People are becoming more creative in generating clean and renewable energy, and this idea is definitely outside the box. However, it’s also remarkably expensive and, according to some experts, likely won’t work as expected. To that end, critics have been quick to voice their disapproval of this solar panel road idea. “It is, without a doubt, a technical advance, but in order to develop renewables there are other priorities [that are greater than] a gadget of which we are more certain of the fact that it is very expensive than the fact that it works,” says VP of Network for Energetic Transition (CLER) Marc Jedliczka, speaking to LeMonde. Even a casual look at the tech reveals some serious issues, namely, that the road panels aren’t expected to be efficient because they are installed flat, rather than following the usual angled layout of ordinary solar panels. Royal says that the project is worth a shot, though, as “it takes advantage of large swathes of road infrastructure already in use…to produce electricity without taking up new real estate.” France has about one million kilometers (621,371 miles) of roads in total, so scaling up could result in some big energy creation…but unless our technology seriously advances, it will be some pretty inefficient energy generation. Yet, it should be remembered that science works by testing — trial and error — until definitive answers are reached, which is why France has decided to try and see if it is possible to make these roads work in some way, even if they don’t initially seem too promising. “We have to look at the cost, the production [of electricity] and its lifespan. For now, I don’t have the answers,” comments Jean-Louis Bal, president of renewable energy union SER. Of course, some might argue that those tests needn’t be as expensive as these solar panel roads, but when it comes to the potential of ushering in a future of efficient and clean energy, what cost is too high? This is a question that is currently the focus of most climate change conversations.